Today is the 4th of December and we are only a few days away from my favorite holiday of the year – Christmas!! It’s the time of spreading love and joy and December is just the most magical month! This year even more so because our fifth fundraising event, our very festive Christmas Garage Sale, is coming up on the 15th of December! We’ve come a long way since our first SFD Garage Sale, and we’re forever grateful for your consistent support in our mission to clothe people in need. Please join us in a feast of shopping and lots of food at B – Kitchen and Bar in Juhu from 1 pm-10pm and do bring along your friends and family! Now, what is this fundraiser for? 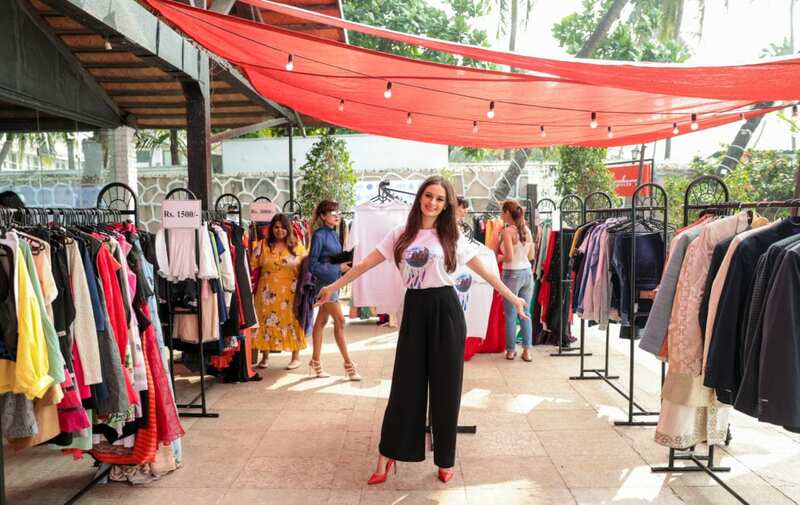 This is a 100% non-profit event with the aim to raise funds in support of our mission to clothe people in need across India. All funds raised carry Seams For Dreams as an organization throughout the next year and help us to expand our operations, grow our logistics and outreach network, employ more helping hands, and more. Together we can achieve so much, and thanks to your generosity we have been able to provide clothing to tens of thousands of people over these few years and could spread awareness about the importance to recycle, reuse, and repurpose old clothes and fabrics. 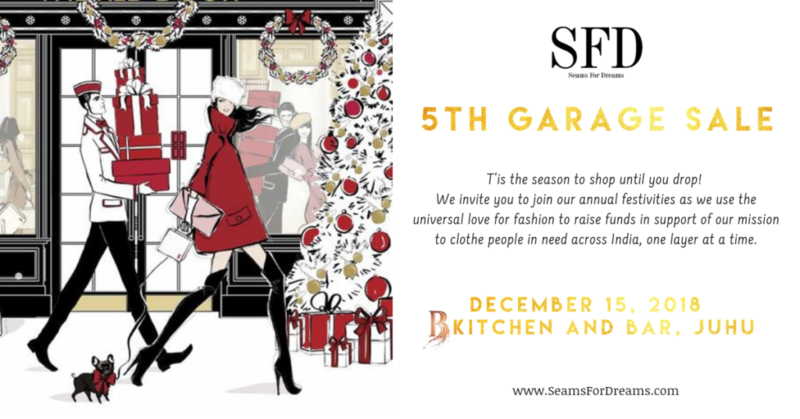 We would like to give a special thanks to the amazing Salita Nanda, who is designing the exclusive merchandise t-shirts for this year’s Garage Sale, and of course our brilliant sponsors B – Kitchen and Bar for hosting us, and WIP Creatives who has been an amazing help in creating a brilliant marketing strategy for us to promote SFD. We really are so excited about this event, as it is only with the help of our community that we’re able to do more good! Thank you for everyone who has donated amazing clothes for this Christmas Garage Sale! 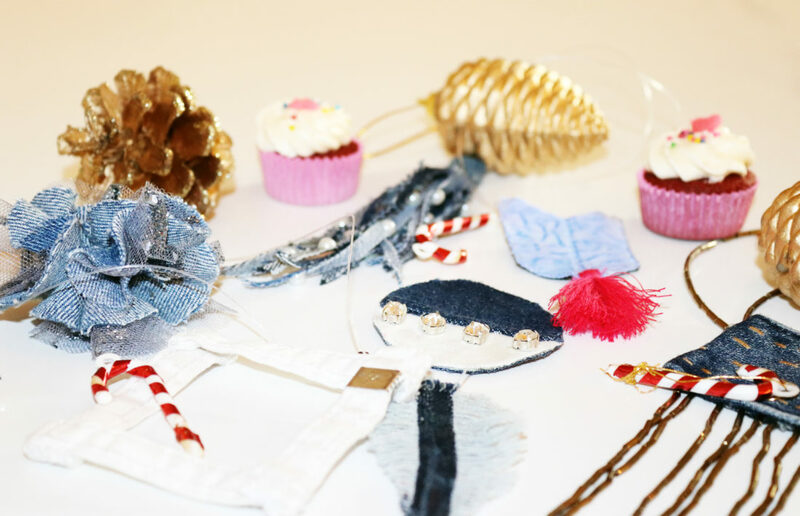 Stylists, designers, and fashionistas have become our regular supporters and we are overwhelmed by all the love. 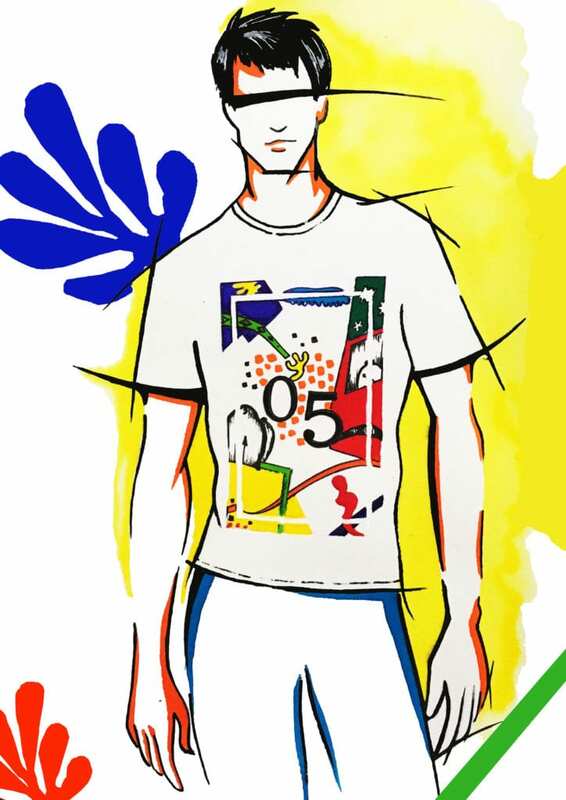 Our vision is to bring together the film and fashion industry to give back, and we are extremely happy to see this dream come alive! For more information, follow us on our website www.SeamsForDreams.com in the NEWS and AWARENESS section, on our social media. Get involved by donating your own clothes or supporting SFD with the much-needed funds to increase our outreach project. Just drop us an email to info@seamsfordreams.com! Mark your calendars for our Christmas Garage Sale on 15th December 2018 from1 pm to 10 pm at B – Kitchen and Bar, Juhu and get your hands on some new clothes for this year’s Christmas and New Year parties, knowing that with every purchase you are helping someone in need! 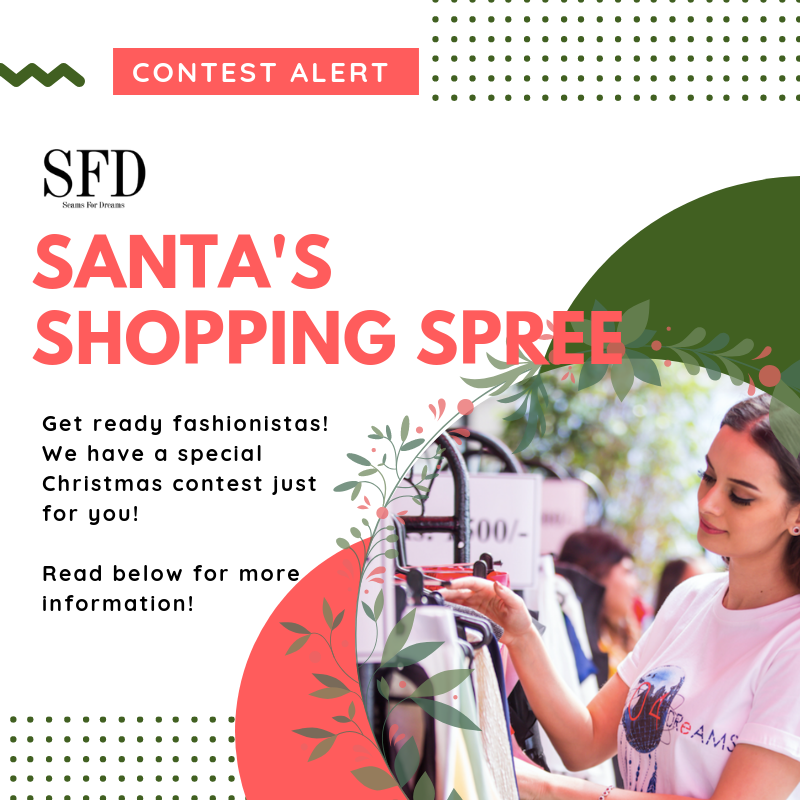 Have you been a part of Santa’s Shopping Spree Contest yet? 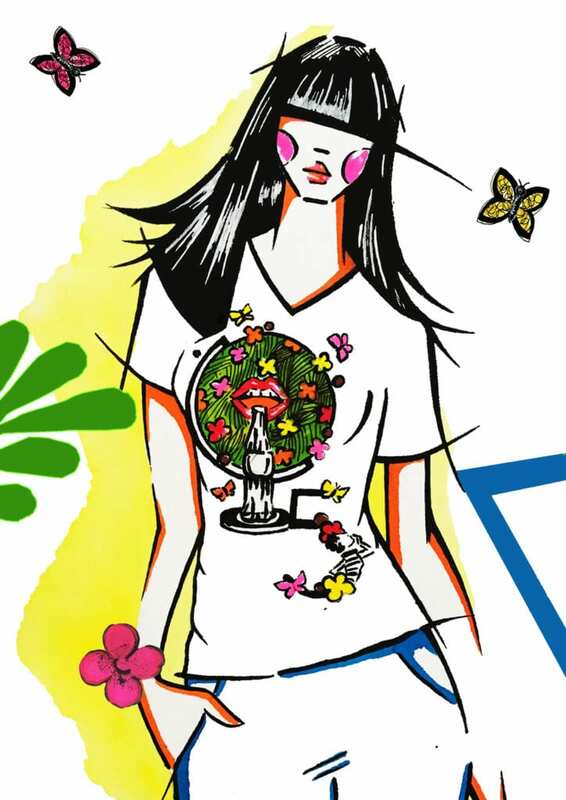 Click here to be a part of the contest and get a chance to win shopping vouchers worth 15k INR! Let’s keep giving in style!